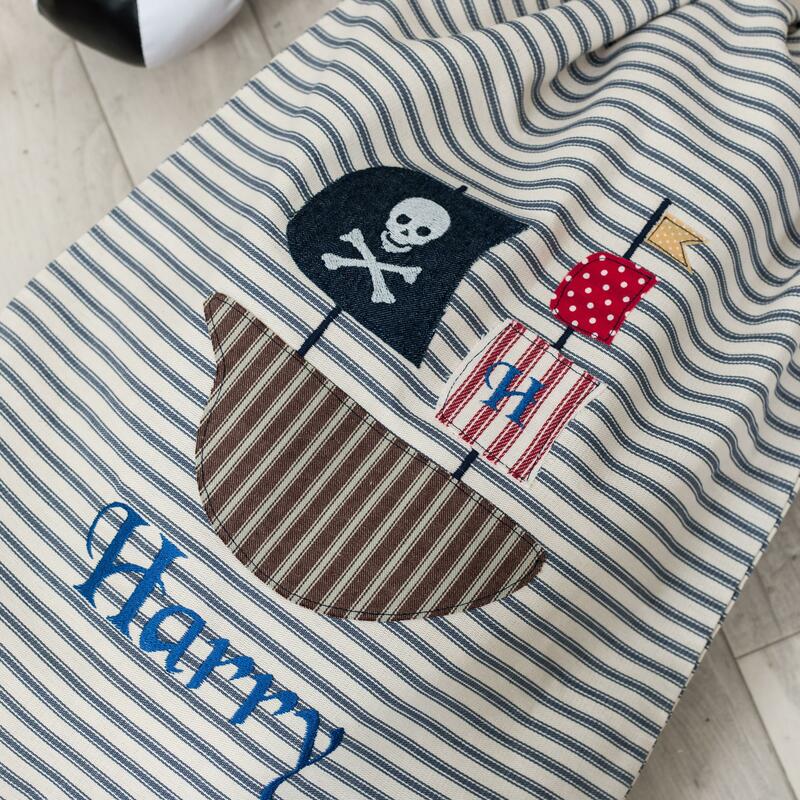 A lovely personalised, appliqued pirate ship laundry bag. 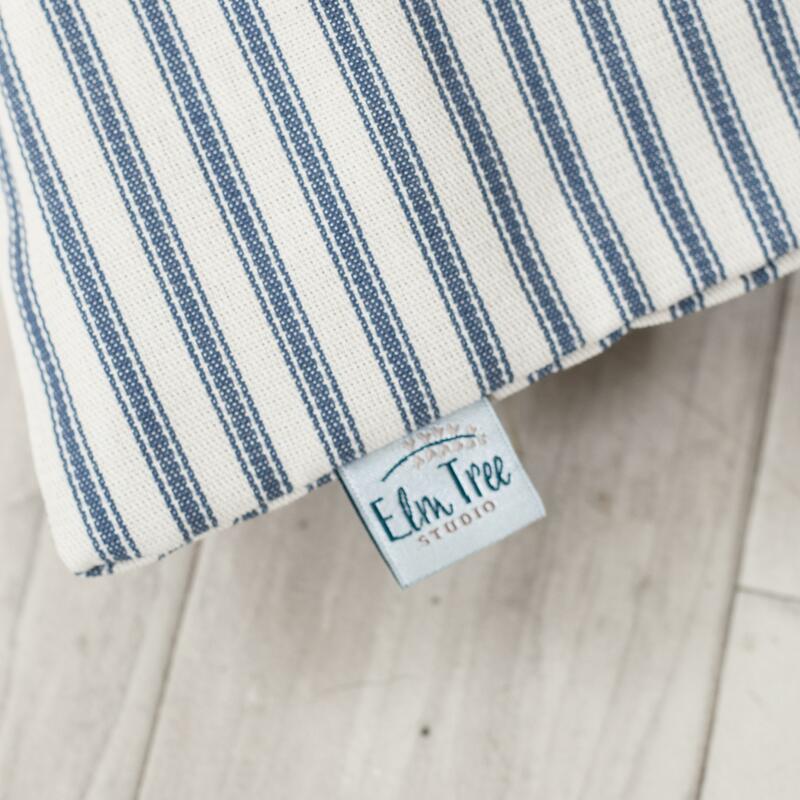 Made from soft navy cotton ticking stripe fabric with a cotton draw tape. 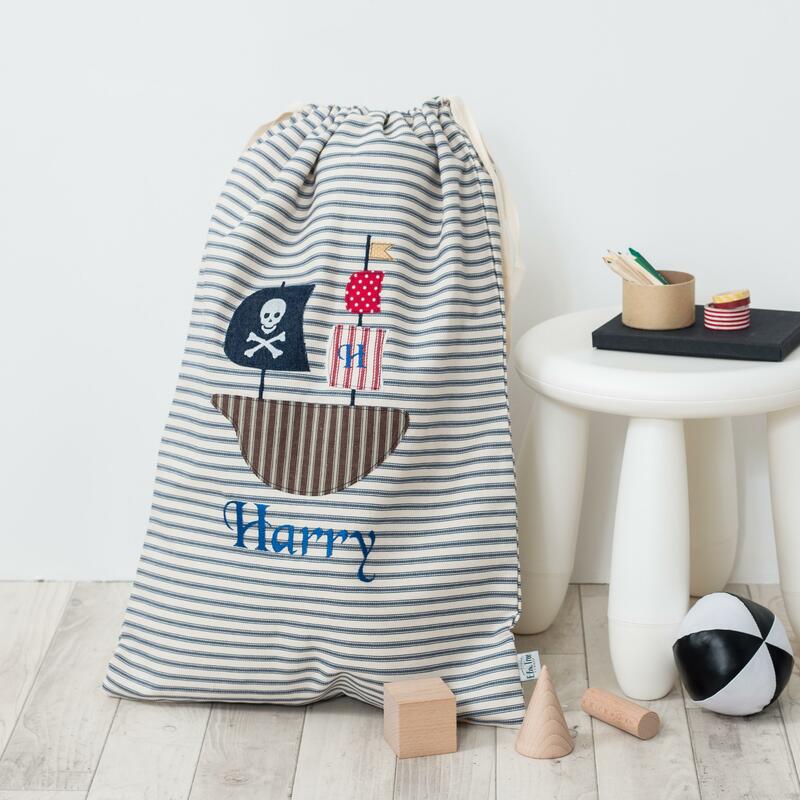 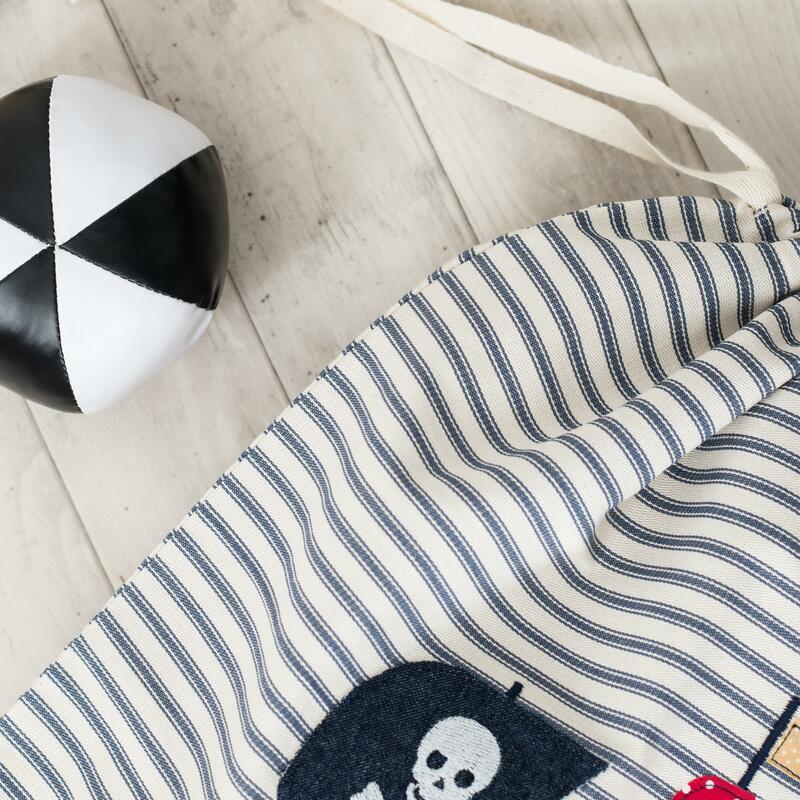 This laundry bag is a must for all little pirates. 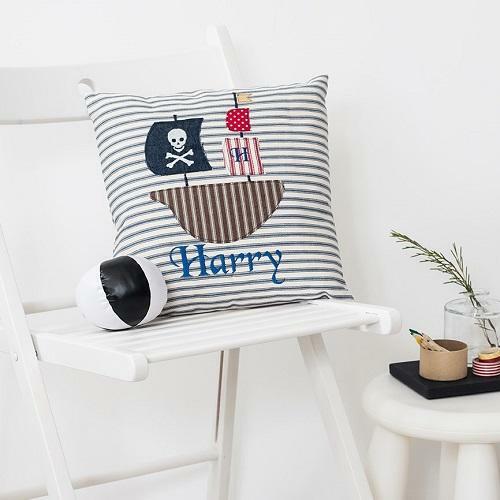 Made from soft navy ticking stripe cotton with both applique and embroidery.